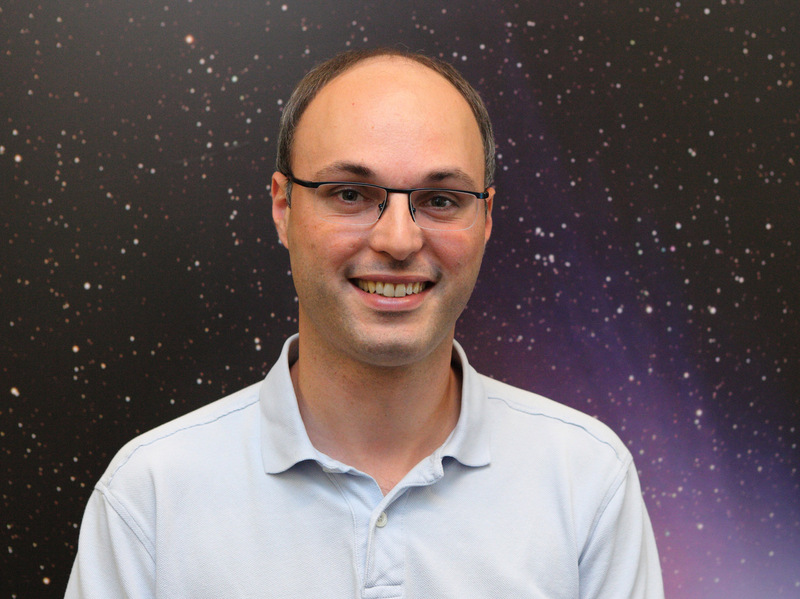 Christophe Lovis, a member of NCCR PlanetS at the University of Geneva, received the “La Recherche” prize at the beginning of this year, awarded by the prestigious French magazine of the same name and aimed at the general public. In an article published in the journal Astronomy & Astrophisycs Christophe Lovis and his colleagues demonstrated that Proxima Centauri was gravitationally linked to the Alpha couple of stars Centauri A and B. A “first” which earned them the distinction of the best French-speaking work in astronomy. “It was a surprise, I wasn’t expecting it at all,” says Christophe Lovis with a broad smile, “but I’m quite proud because it’s a nice result that would have deserved more echo”. Indeed, the published work raises the question of whether Proxima Centauri is linked to Alpha Centauri A and B? To be able to answer the question the astronomers needed to precisely know the coordinates (positions) and speeds of the 3 stars. Positions and proper motions were obtained from Hipparcos satellite measurements. The absolute radial velocities of the three bodies still had to be measured. “We know how to measure radial velocity variations very well, that’s how we discovered exoplanets,” explains Christophe Lovis, “but measuring absolute velocities is a much more difficult exercise”. For Alpha Centauri the researchers used the high resolution spectra taken by HARPS and assumed that Alpha is a star almost identical to the Sun. “Assuming that Alpha is a solar-type star, we can subtract from the spectrum the effects related to the star’s gravity and turbulence,” recalls Christophe Lovis, and thus calculate precisely its radial velocity. For Proxima things are more complicated, Proxima is a red dwarf whose spectrum is characterized by a large number of molecular lines making the calculation of its radial velocity very imprecise or even impossible. To overcome this obstacle, Christophe Lovis had the idea to use emission lines instead of absorption lines. Sodium and Calcium lines can easily be modelled and adjusted to derive their exact position in the spectrum, then, by comparing with the values obtained in the laboratory, it is possible to obtain the speed. “This is the first time that such a method has been used,” explains the astronomer, a little surprised that no one had thought of it before, because these lines are intense enough to be identified and modelled. Once the speeds and positions were obtained in the three dimensions of space, the researchers were able to calculate Proxima’s escape velocity from the main binary system. As a result, Proxima remains linked to the system if its speed is less than 545 m/s, yet the researchers’ calculations show that Proxima moves at 273 m/s with an error bar of 49 m/s, clearly indicating that Proxima is linked to the system and therefore in orbit around Alpha Centaur A and B. “The great progress lies in the error bar,” explains Christophe Lovis, “it is the first time that it is so small and makes it possible to say without ambiguity that Proxima is linked to the system”. Astronomers were also able to calculate other parameters of the orbit, such as the period of revolution, which is 550,000 years, its eccentricity of 0.5 and its half major axis of 8700 AU. “A prize? Of course it makes you happy,” confirms the researcher for whom his method of calculating absolute radial velocities should make it possible to go well beyond the Centaur system. Indeed, while we know well the dynamics of double systems where the stars are close to each other, we still have many unknowns regarding systems where the stars are more distant from each other. The technique of calculating absolute radial velocities using emission lines should fill the gap in knowledge between galaxies and stars.